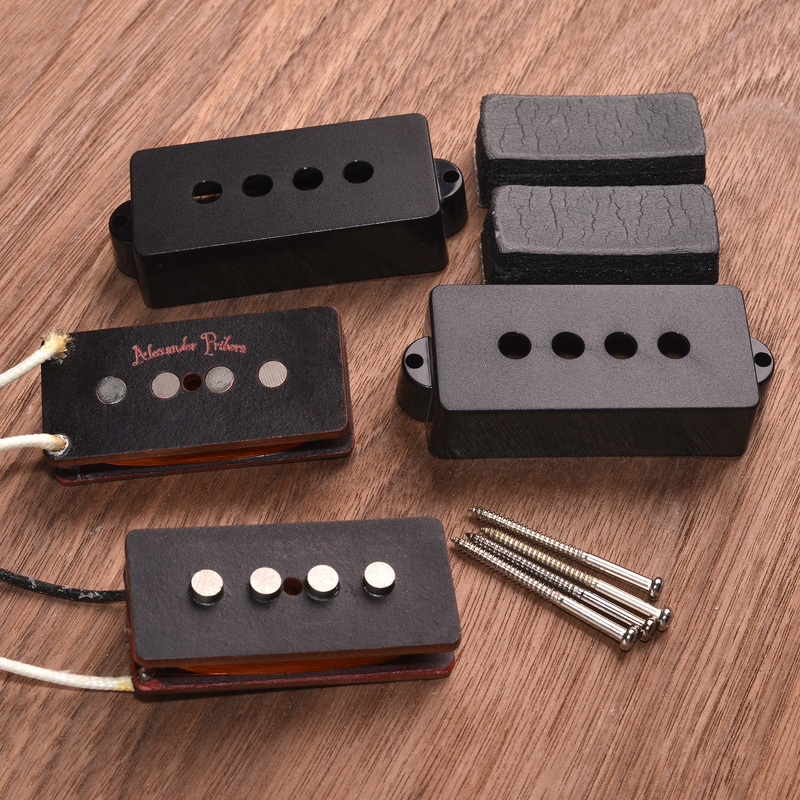 Single coil is made of black vulcanized fiber and alnico V magnets. Additionally glued and varnished. Glue eliminates the possibility of detaching the flatwork from the magnets, and the varnish adds additional structural strength and prevents electrical shorting wire on the magnets. 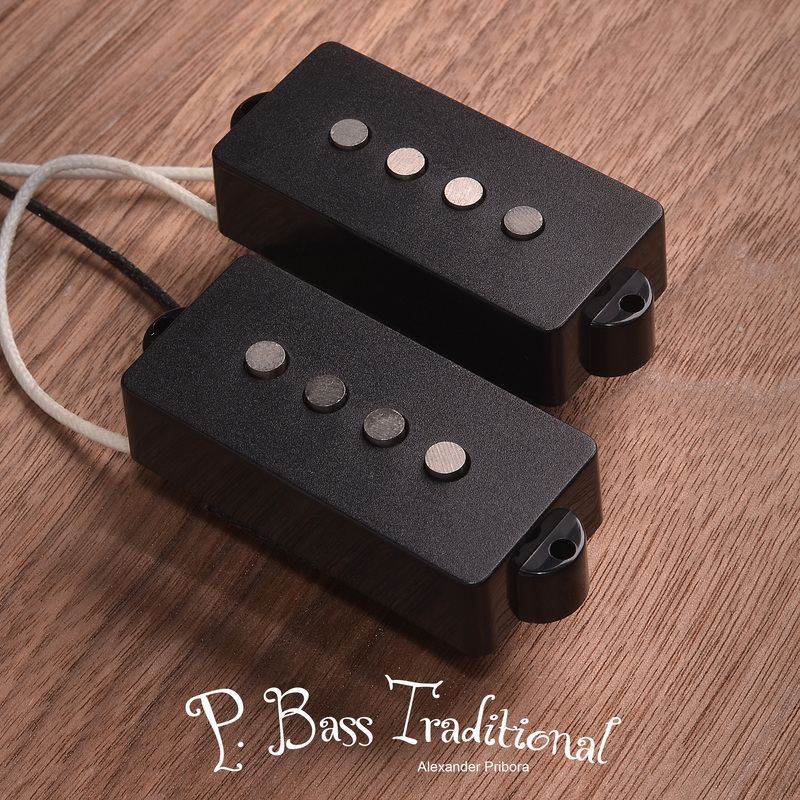 I recently decided to purchase this Traditional P pickup after reading all the reviews about Pribora pickups, which were generally very positive or enthusiastic, especially for the price tag. I have been using it for a few weeks now and I can confirm a superb clarity, articulation and piano-alike richness, especially in the upper-mid range. The instrument resonates and all notes are clearly yet warmly voiced. 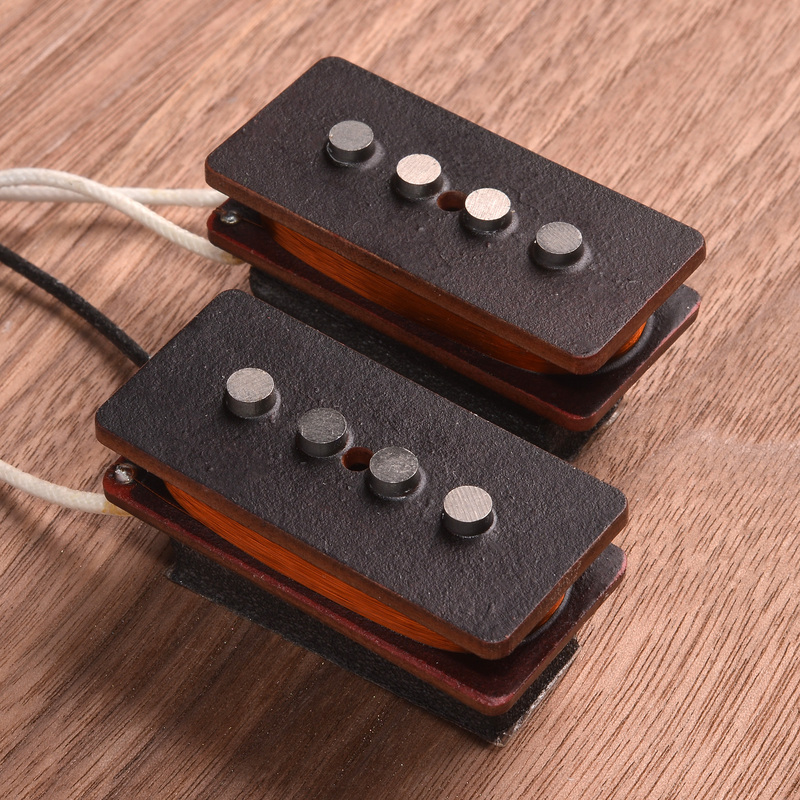 Amplified, it retains punchness without mudding up the lower range. Chords and double stops are well intelligible. I could easily say that this is a great quality pickup regardless of the price tag; taking it into account, the value-for-money ratio is amazing. 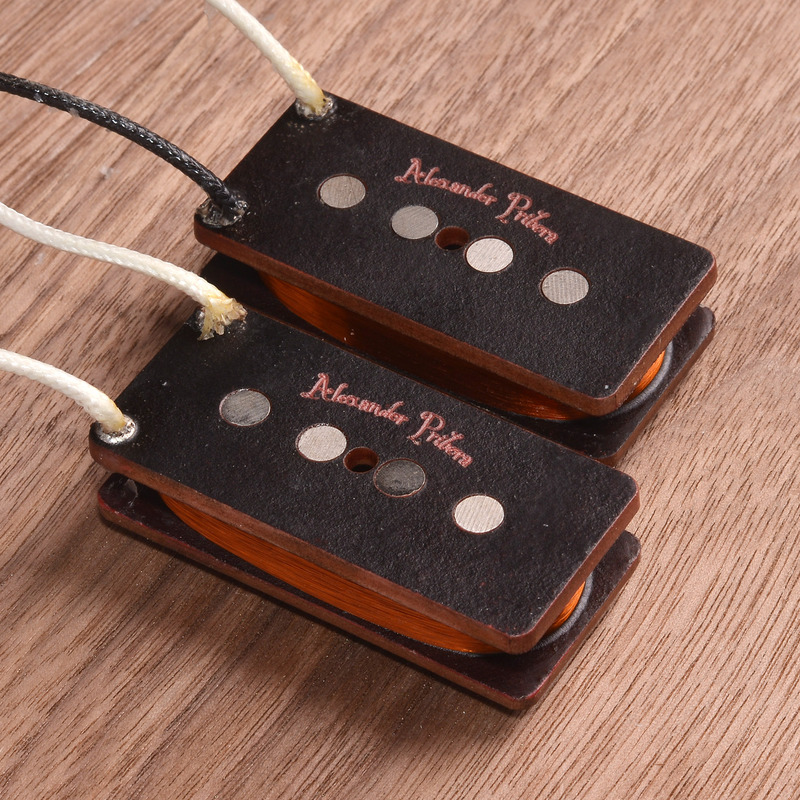 Shortly after having received my Traditional P, Alex started offering a J set and a Vintage P variant with grey fiber and American plain enamel wire. As he confirmed me via email, it’s more expensive (yet still very reasonable) due to the high difference of cost for materials. However, I’m fully satisfied with the Traditional I got. In doubt, ask him some questions privately and he’ll get back to you. Expect a 2-3 week delivery for Customs – he’s extremely reliable anyway. Un son énorme tout en gardant une netteté et une précision TOP ! !, Alexander bobine les meilleurs micros au meilleur prix !